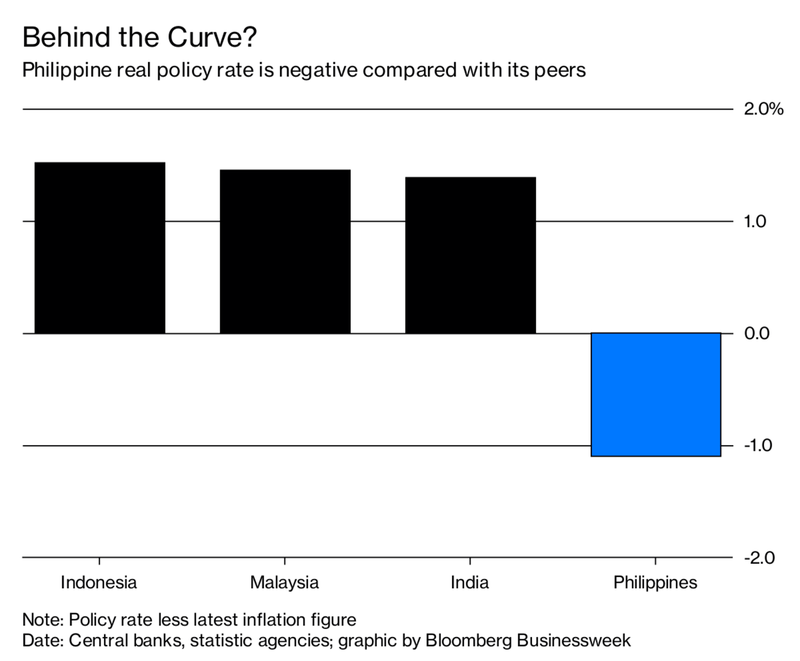 The Philippines stands out as the only country with a negative inflation-adjusted benchmark rate among Asian peers that have raised borrowing costs this year. The second rate increase by its central bank in two months isn’t going to help the beleaguered peso much given the low real yields and current-account deficit, said Mitul Kotecha, a senior emerging markets strategist in Singapore at TD Securities. The monetary authority will likely have to raise interest rates in the months ahead with the next clue coming from the release of inflation data on July 5, he said. Philippine Finance Secretary Carlos Dominguez said a weak peso is benefiting the economy, and a widening in the trade deficit and faster inflation are signs of strong growth. The depreciation in the peso, Asia’s worst performing currency that’s lost more than 6 percent against the dollar this year, is boosting the repatriated income of about 10 million Filipinos working overseas as well as the earnings of exporters and call center operators in the $305 billion economy, Dominguez said in an interview with Bloomberg Television’s David Ingles in Tokyo. The trade gap is partly fueling a slump the currency, he said. A contraction in exports in April alongside a 22 percent jump in imports widened the trade deficit to $3.6 billion, prompting the central bank to expect a bigger shortfall in the current account this year of $3.1 billion. Foreign outflows and the perception by some analysts that the central bank was slow in raising interest rates despite inflation climbing to a five-year high pushed the peso to a 12-year low this month. Philippine Finance Secretary Carlos Dominguez talks about inflation and the local currency. 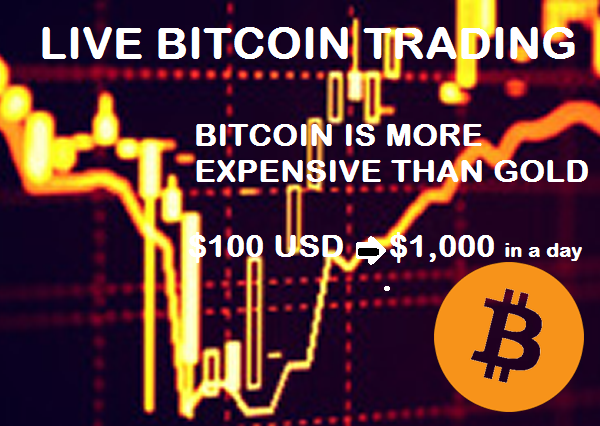 Dominguez said an abrupt exchange rate movement is disadvantageous because it could fan inflation and encourage speculation. The Philippines on Wednesday raised its key interest rate by 25 basis points to 3.5 percent, becoming the latest emerging market to tighten monetary policy. 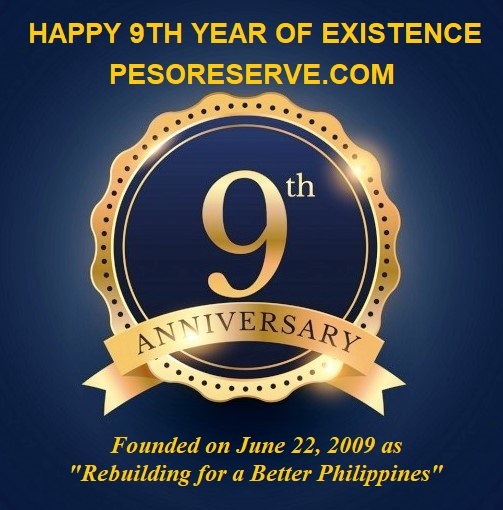 Governor Nestor Espenilla said the central bank is prepared to take more action if needed. The peso rose as much as 0.2 percent on Thursday before trading little changed at 53.48 per dollar at 2:36 p.m. in Manila.